A donation from Windham Hospital is helping the Scotland Fire Department save lives. The 2006 Dodge Caravan will be used for vehicle extrication and fire training, according to Scotland Volunteer Fire Department Assistant Chief Juan Sanchez who also works as a public safety officer at Windham Hospital. 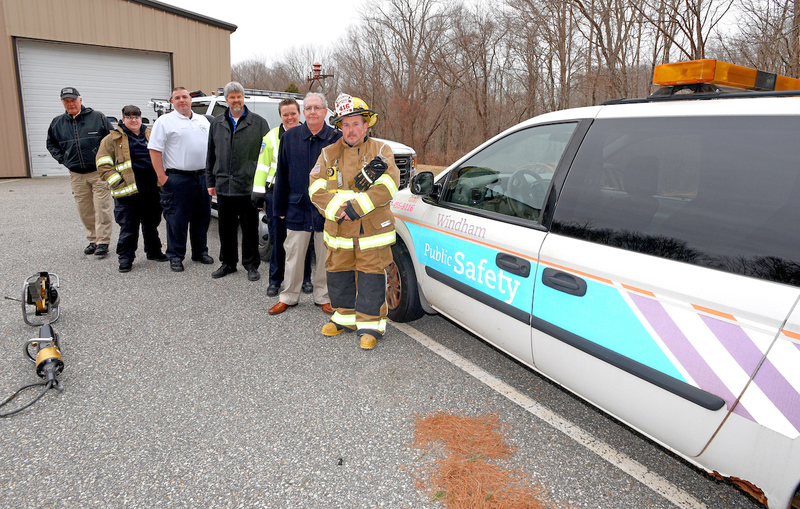 Public Safety Officers at Windham are now patrolling using the former paramedic vehicles after the paramedic team was able to purchase two brand new SUVs in 2018 thanks in part to a $47,000 donation from the Jeffrey P. Ossen Family Foundation. “If this will help save just one life it’s well worth it,” said Bibeau.